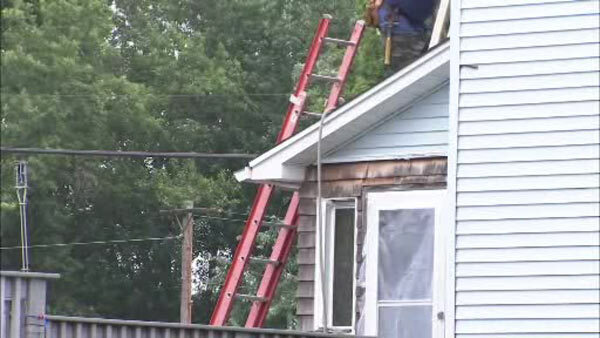 PENNSVILLE TWP., N.J. (WPVI) -- A man was killed after being shocked while installing a roof at a house in Pennsville Township, Salem County. It happened around 1 p.m. Thursday on the 100 block of Highland Avenue. Police say two workers were attempting to move a ladder when it came into contact with an electrical line. Both were found lying on the ground when police arrived. One of the workers, 54-year-old Jereome Dean of Pennsgrove, was taken to Salem County Memorial Hospital where he was pronounced dead a short time later. The second worker was taken to the hospital with non-life-threatening injuries.